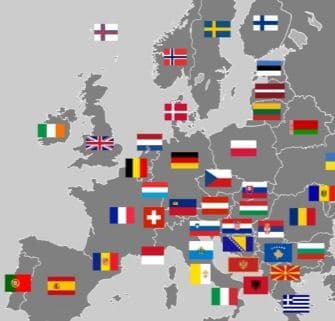 Tony Grant-Salmon from the British hearing aid manufacturer’s association has compiled all the available sales figures from Europe for 2015 in this report. 2015 witnessed a 4% increase in sales over the previous year; strong results in The Netherlands, the UK private sector, Italy, France and Switzerland provided the biggest contributions to the increase. This year’s study of hearing aid sales in Western Europe has revealed sales of 3,665,000 units in 2015, a moderate increase of 4.1% over the 2014 figure of 3,519,000 units. It should be noted that this latter figure for 2014 is slightly lower than that reported last year due to updates received after the report was published. The more moderate increase of 4.1% was perhaps to be expected due to the abnormally high increase of 12.2% in the previous year. Countries making the main contribution to the growth in 2015 were the Netherlands at 13.8%, Switzerland at 11.1%, France at 9.1%, Italy at 8% and UK private at 7.4%. In the Netherlands, the considerable increase of 13.8% was surprising in that the Dutch market is in the process of change as regards the criteria for qualification, which are to be reviewed again in 2016. Sales in the last quarter of 2015 were much higher than in previous quarters due to the rush to use up health insurance “allowance” by year end. Following a year of 5.8% growth, sales in France grew by 9.1%, continuing the trend of 2014. Despite the lack of reimbursement in France from the universal health coverage and the private insurances, the high-quality of the services delivered by the audiologists is encouraging the compliance index and the satisfaction of hearing impaired people. The compliance index is especially high in France in view of the satisfaction rate. Then, when most patients use their devices, satisfaction is high. This results in a virtuous circle enabling fitting of a larger proportion of the population. In Italy, the main reason for the significant growth of 8% is the success of Amplifon which has been much publicised. In the UK, sales in the private sector increased from 257,000 in 2014 to 276,000 in 2015, growth of 7.4%. However, public sales (NHS), increased by only 3.7% to 1.311 million, a second year of low growth following the high growth years of 2012 and 2013. The healthy increase in private sales can be attributed to increased activity level by one or two of the large retail chains. Total sales in the UK reached 1.587 million, an increase of 4.3% over 2014. Sales in Spain grew by 2.6% to 195,000, a moderate increase following some years of low growth. It is important to bear in mind that the Spanish market continues to be especially opaque. A recent study by a group of independent practices indicates an annual growth of 3%. RIC models were the most demanded and they show the biggest growth, having tripled in five years. 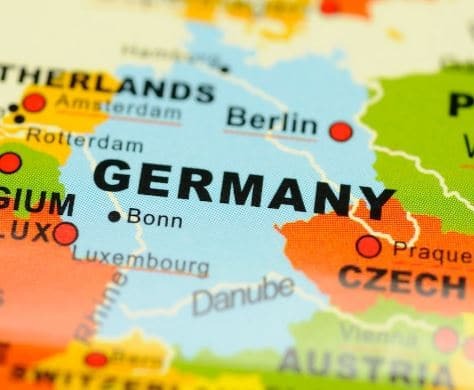 It is unusual for Germany not to have significant growth but is worthy of mention; sales could not maintain the momentum of the previous years, when there were increases of 8.4% in 2013 and 23% in 2014, and sales declined by 2.1% in 2015. 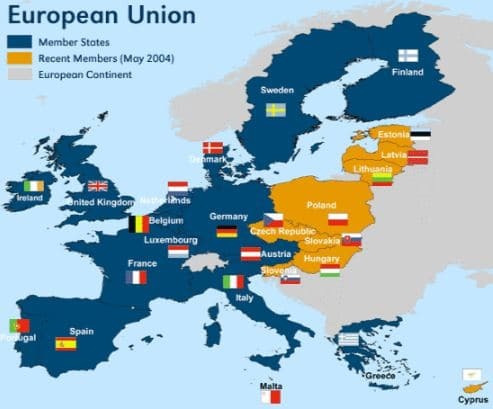 Comparison of sales and growth between Europe and the USA in 2014 reveals that, contrary to 2014, the USA grew at a higher rate than Western Europe, 7.2% vs 4.0%. Five year trends are also interesting in that Europe has grown by 40% since 2009 whereas the USA has grown by 28% in the same period. The growth in BTE sales in the USA continues, with further increase of 2% in 2015, and has now reached 79% of sales. This is in comparison with Europe where BTE have also grown by 2% but sales stand at 86% of sales. BTE growth can still be attributed to the rise in sales of RIC/ RITE instruments, which have continued to establish a strong and positive position in the market with sales already close to 64% of total sales in the USA and approaching 60% in Europe. Last year, I estimated that sales in the European Union for 2014 were 5,118,000 and my estimate for 2015 is ca. 5,326,000. When reviewing the EU, I include sales in Western Europe, per the attached matrix (3,665,000), sales in the additional 12 Euro countries (250K), public sales (NHS) in the UK (1,311,000) and my estimate of unreported sales in Europe (100K). Thus, total sales in the EU in 2015 increased by 3.8% to 5.313M. This is about 44% of world sales, which are estimated as ca.12.25M in 2015. In the past year or so we have been discussing the series of EuroTrak studies commissioned by EHIMA and carried out by the Swiss market research company Anovum. The studies cover hearing loss prevalence, adoption rates, hearing loss population demography, factors influencing purchase of hearing aids and satisfaction rates. The results of the studies in Europe were reported in Audiology Worldnews and Audio Infos in detail. Key conclusions were that the UK had highest adoption rate and better quality of life, France had the highest satisfaction rate and Germany had the highest binaural rate. After a Solid 2015, What Will 2016 Bring? After three good years of growth, 6.4% in 2013, 12.2% in 2014 and 4.1% in 2015, the expectation is that the positive trend will continue in 2016. Lastly, my usual qualification that the availability of information on hearing aid sales in Europe is limited, only a few countries having formal reporting systems. This study uses data collected by Industry Associations plus that from informal but informed sources. Next PostWhat Makes You Think You Are Special?